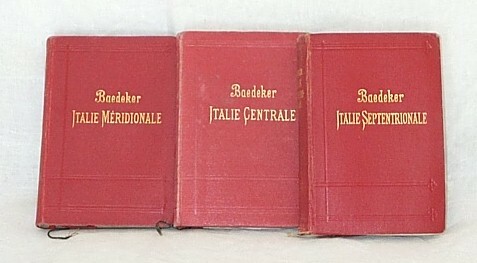 Baedeker editions covering Italy in French. See also editions in German and English. As in the other languages, there was, apart from the family pictured above, also a single-volume series covering "Italy from the Alps to Naples" - Naples being as far south as most tourists usually bothered to go.